Russian designer Elena Sidorova, has created Flop, an armchair that folds open and becomes a bed. The chair is upholstered in 100% wool, and features a hidden compartment within that hides away the mattress and pillow when not in use. 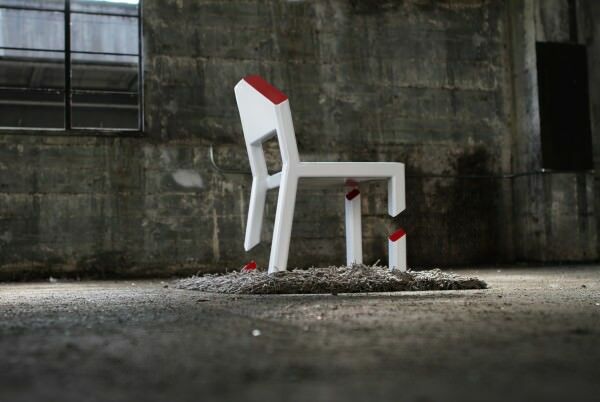 The Cut Chair is an amazing project by Peter Bristol. It gives an optical illusion that it has just been magically sliced apart and there is no possibilty to take a comfortable sit, but under thick carpet is placed special plate that “support” seat. I really like unconventional home decors. 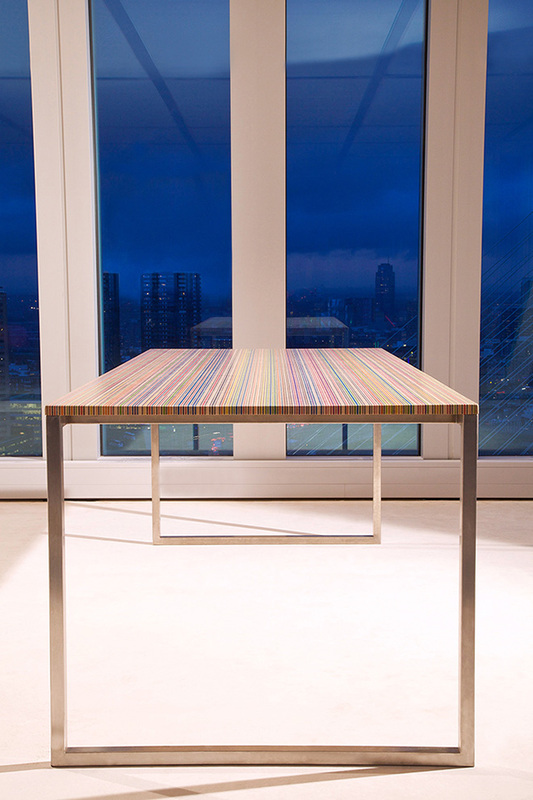 This time I’d like to present Wallpapering by Dear Human – Vancouver-based design studio. 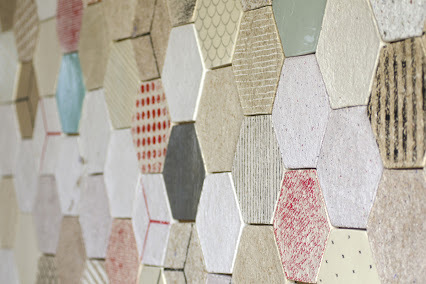 This eco wallpaper is made of recycled paper and ceramic tiles. Simple is the best. This minimalist bookshelf designed by Brooklyn-based designers Colleen & Eric comes in Beech, Walnut and Oak. 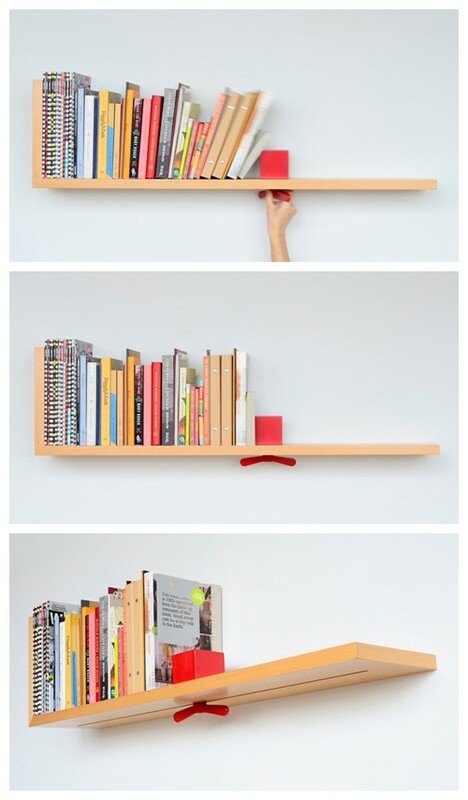 It is calles Hold on Tight due to smart bookend that can be moved to fit different numbers of books. 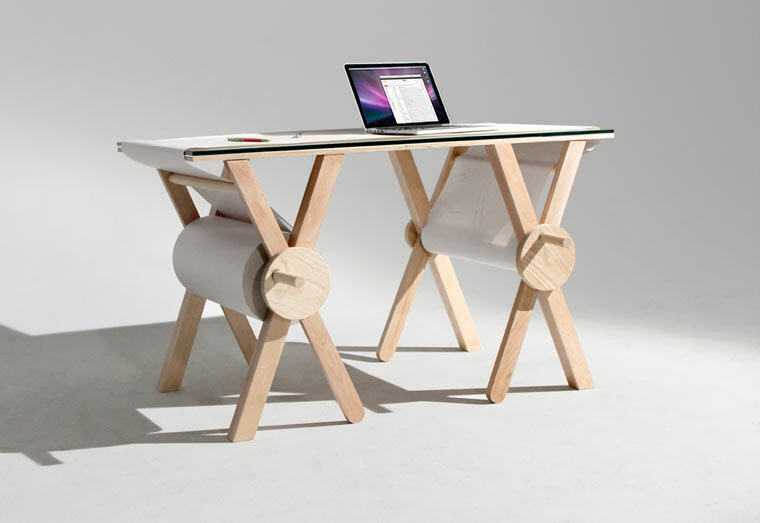 The Analog Memory Desk is an excellent desk concept imagined by designer Kristen Camara, including a scrolling roll of paper, to keep track of all your ideas, sketches, scribbles and doodles! You will just need to turn the cranks when you have no more empty space to continue drawing. Sleeping under the stars at home can be possible in the near future due to Saint Petersburg-based designer Natalia Rumyantseva. 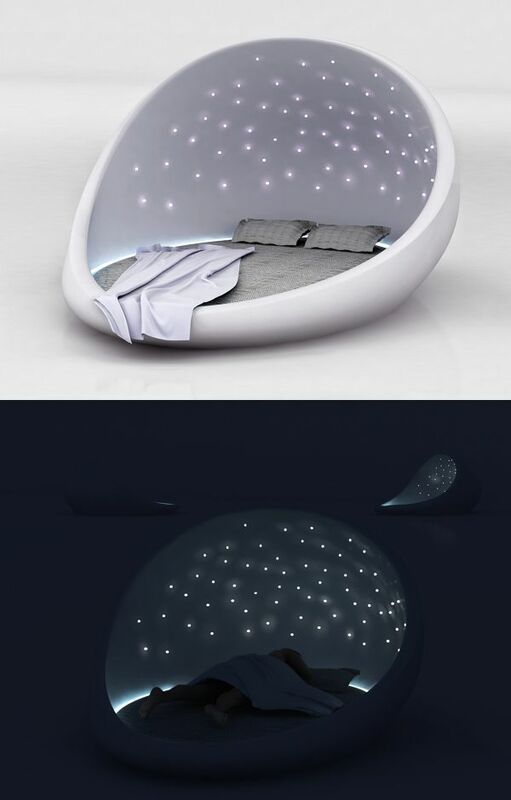 She has created Cosmos Bed, still in prototype stages, from white fiberglass that mimics not just the twinkling night sky, but the sounds and even the smells of a beautiful evening outdoors. 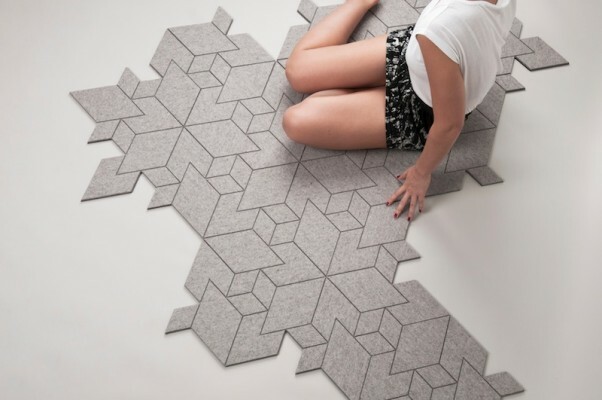 Cityscapes is a flooring concept by Slovakian design studio ALLT. A Cityscapes carpet is made up of 40 identical felt modular tiles that can be arranged in a number of ways to fit all sorts of flooring spaces. Each module is made up of 4 diamond shapes divided by indented lines which look identical to the grooves that exist between tiles to create a seamless look. A sedentary job causes back ache, weigh gaining and post-lunch shut-eye after lunch. 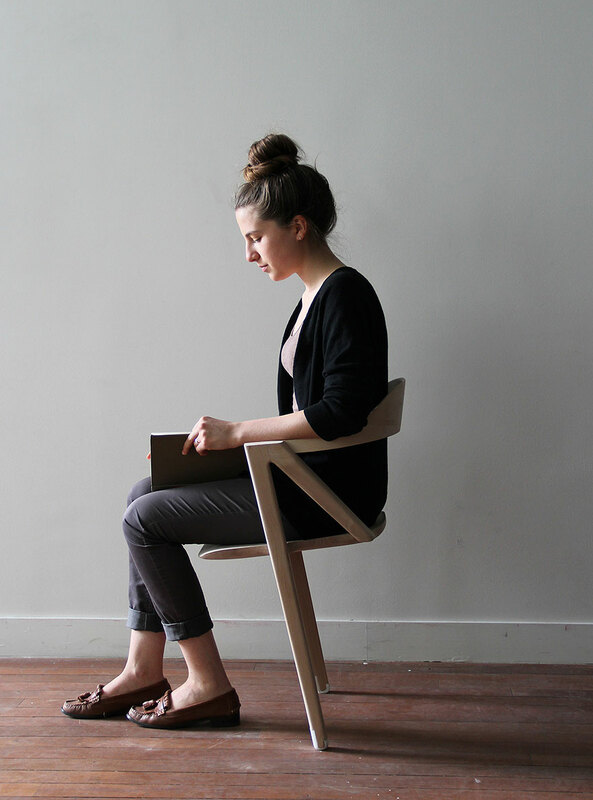 The solution for our health improvement is a two-legged chair. 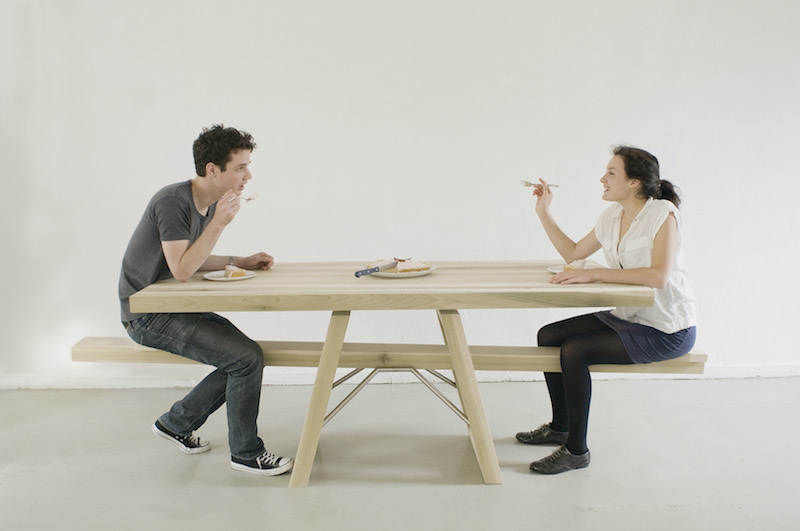 It forces you to stay in a balance by slight physical movements.